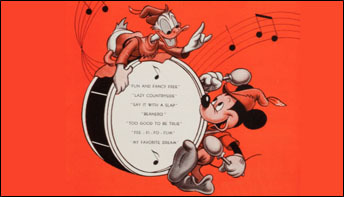 The song–based upon an eighteenth-century English tune–was the biggest hit connected with a Disney production since “Zip-A-Dee-Doo-Dah” nearly two years previous. The title song–a sweet and sentimental ditty–was the object of three singers, and their respective record companies. 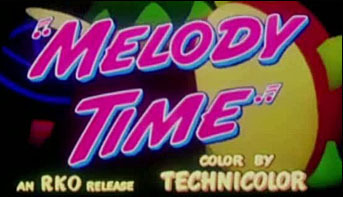 Of course, as any good movie of the day must, Melody Time had a main title theme song. This was a very pleasant ballad, and it actually got several covers. 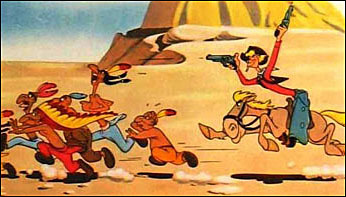 Roy Rogers was not the only artist to sing of Pecos Bill – but, thanks to Walt Disney, the legendary western character and the “King of the Cowboys” will be forever linked. 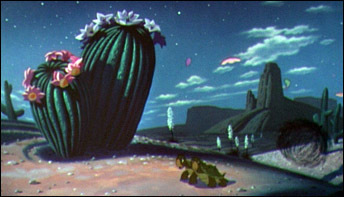 Even though the song “Pecos Bill” did not make the charts at “Billboard”, it sees to have gotten”covered” more widely than any other song from Melody Time. 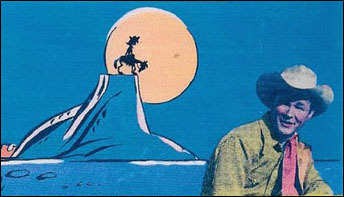 “Blue Shadows On The Trail” was also all over the airwaves during the spring and summer of 1948. 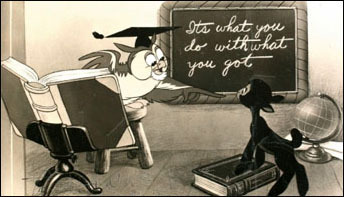 Decca released a version of this tune, as sung by Bing Crosby. 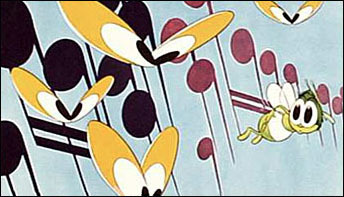 Both “The Legend of Johnny Appleseed” and “Little Toot” had songs attached to them. The reaction of Tin Pan Alley was interesting–and, perhaps, notable. 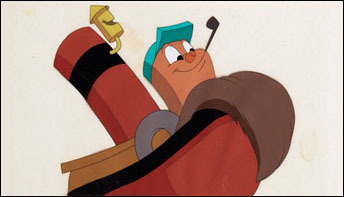 Another piece used in Melody Time that the Disney people did not “own” was Bumble Boogie. 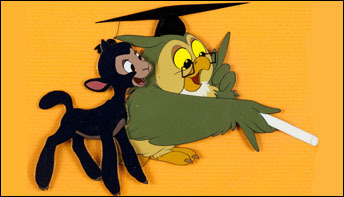 In fact, most people already knew of it as the Rimsky-Korsakov composition “Flight of the Bumblebee”. Joyce Kilmer had written a short poem around 1913. 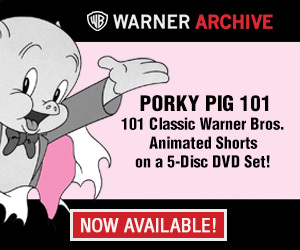 Nine years later, it was set to music by Oscar Rasbach. 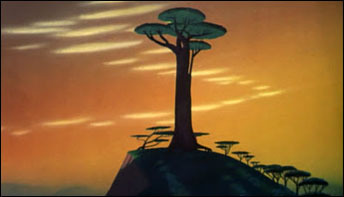 “Trees” was already a well-known standard by the time Melody Time was being planned. The “rhythm number” from “Bongo” was “Say It With A Slap” – a title that sounds today like an invitation to be inducted into the #MeToo movement.